The second of two Grand Prix this weekend is in the books! What were the top stories of the Standard Grand Prix? Let's find out in a matter of minutes. There're many ways to enjoy Magic. Whether you like Legacy, or Modern, or Standard, or Cube, there is bound to be a format which suits your whim and fancy. If you're into exciting formats, you might also enjoy Two-Headed Giant, Commander, or Grand Melee. What’s Grand Melee, you ask? No, not the card, silly. I’m referring to the format called “Grand Melee”! Well, it’s a casual multiplayer variant which takes the meaning of multiplayer to the next level. You can enjoy Grand Melee with tens of players at the same time! Players sit around a table in a free-for-all game, and each player has a “range of influence” of 1. Thisrule meant that your spells and abilities could only affect themselves and players within one seat of their own, a.k.a the player to your left and the player to your right. To quote MTG Gamepedia, “for example, if you play Wrath of God, it'll destroy only the creatures controlled by you and your two neighbors, and if you play Coalition Victory, it'll cause only your two neighbors to lose the game. Furthermore, players are allowed to attack only the player immediately to their left." 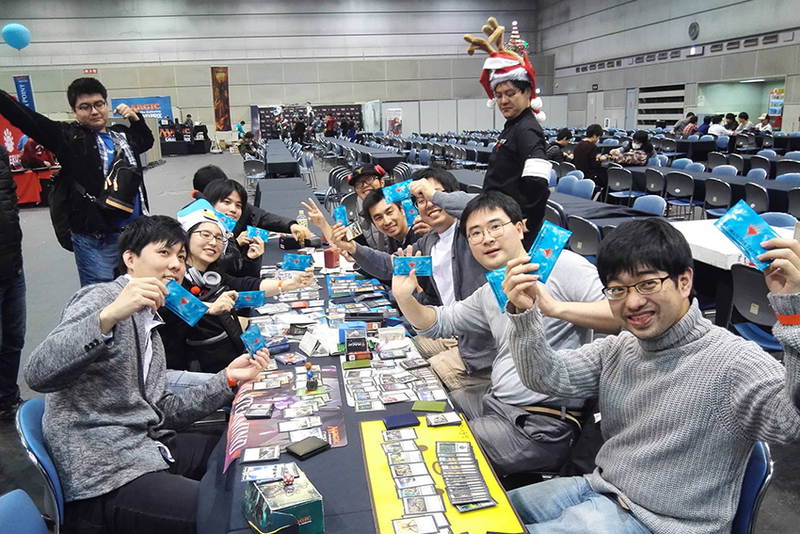 This format is usually played with Constructed decks, but a little twist was added this weekend.Since Christmas was not too far away, a special Christmas event was held today, and it drew a total of 53 players. The format? Chaos Draft! That’s right, the 53 players who registered would receive three random booster packs throughout Magic’s history and they would be doing a Booster Draft. They would pass right in Pack 1, pass left in Pack 2, and passright in Pack 3, just like what you do at a Friday Night Magic tournament. To ensure that the tournament’s smooth progress, the “Head Santa” and his team was on hand to assist players in any questions they had. 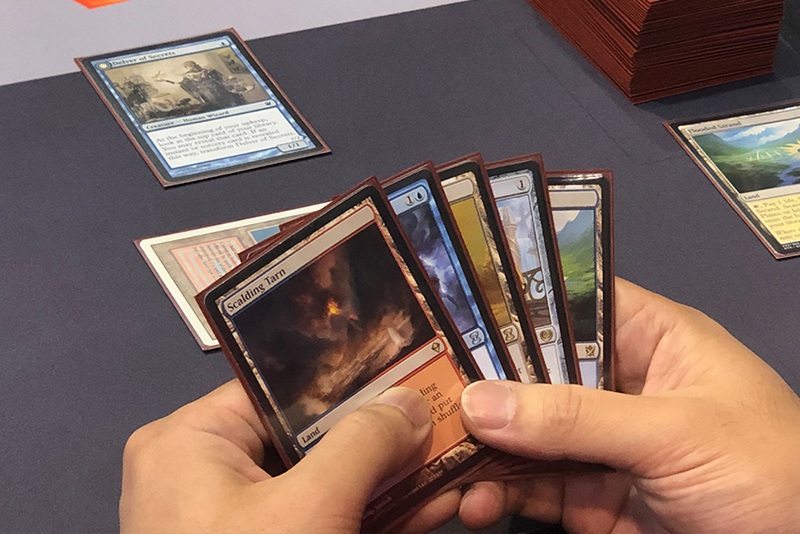 When all was said and done, the final seven players walked home with prizes such as Ultimate Masters Box Toppers and oversized Guild Kit basic lands! Congratulations to all winners and best of luck with your Ultimate Masters box toppers! The next time you have a party or an event, consider trying this fun-filled format out? It’s great for large groups and perfect for any Magic enthusiast! When Day 2 began, the field was led by thirteen 8-0 players, but most of them were relative unknowns. However, close behind were Grand Prix Chiba 2016 Champion Kentaro Yamamoto, Pro Tour 25th Anniversary Champion Gregory Orange, reigning China National Champion Liu Yuchen, former Philippines National Champion Richmond Tan, former Japan National Champion Kenta Harane, as well as Pro Tour Hall of Famer Yuuya Watanabe, all at impressive 7-1 records! However, as Day 2 progressed, some of these players picked up a second loss and their chances of making the Top 8 evaporated when they picked up their third. In the end, Petr Sochurek was the top finishing non-Japanese player, who narrowly missed out on the tiebreaker lottery to come in 9th. Since this was his second time missing out on the tiebreaks with a 13-2 record, he garnered some condolences from the online community. Meanwhile, Gregory Orange and Yuuya Watanabe finished 15th and 16th respectively. Liu Yuchen and Shuhei Nakamura were the most notable players to make the Top 32. Despite Yuuya Watanabe’s best efforts, he was one match short of making the Top 8. As the seasoned professional players fell by the wayside, the rookies soared to the top. This was an excellent opportunity for these rising talents to make their mark! The Top 8 consisted of seven first-timers, namely Atsushi Nakashima, Toshihiro Saida, Takuya Natsume, Hiroaki Nuruki, Ryota Shimazaki, Kazuya Yokota, Masayasu Tanahashi, and Yoshitsugu Aoki! This meant that Masayasu Tanahashi was had an edge since he was the most experienced player in the Top 8. 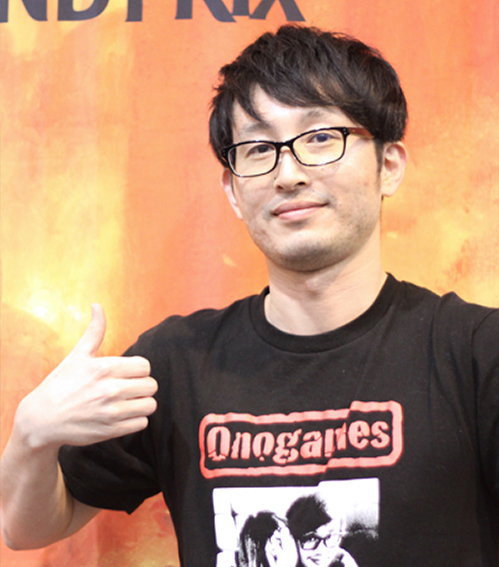 Having played Magic for over ten years, Tanahashi also had a swath of experience playing under the bright lights, having made the Top 8 at Grand Prix Kobe 2008, Grand Prix Sydney 2010, and Grand Prix Shizuoka 2017! Tanahashi also made the Top 8 at Pro Tour Kyoto 2009! However, due to a lackluster draw, he exited the Top 8 without winning a single game. Who ended up taking down the whole show then? 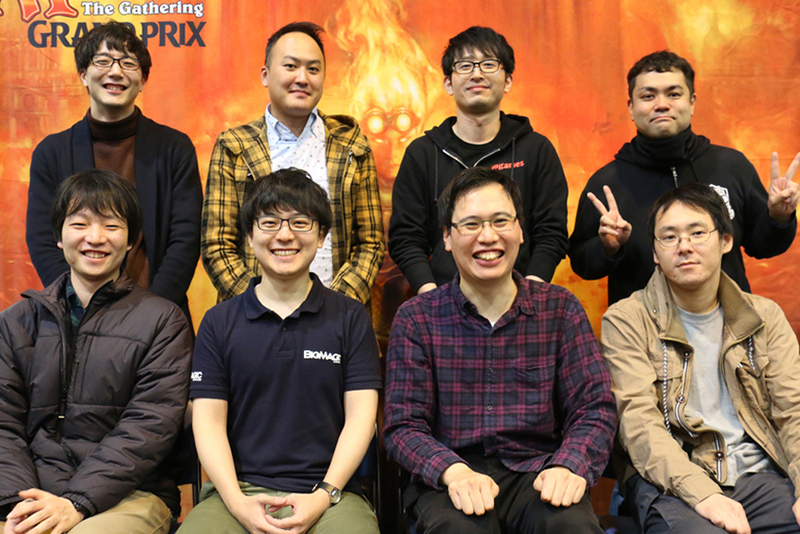 1960 players took part in this weekend’s Standard Grand Prix here in Shizuoka. In the end, it was Atsushi Nakashima who outlasted the competition to remain the final man standing! Piloting Golgari Midrange to perfection, Nakashima used Doom Whisperer to find Find // Finality in the very final game of the weekend. 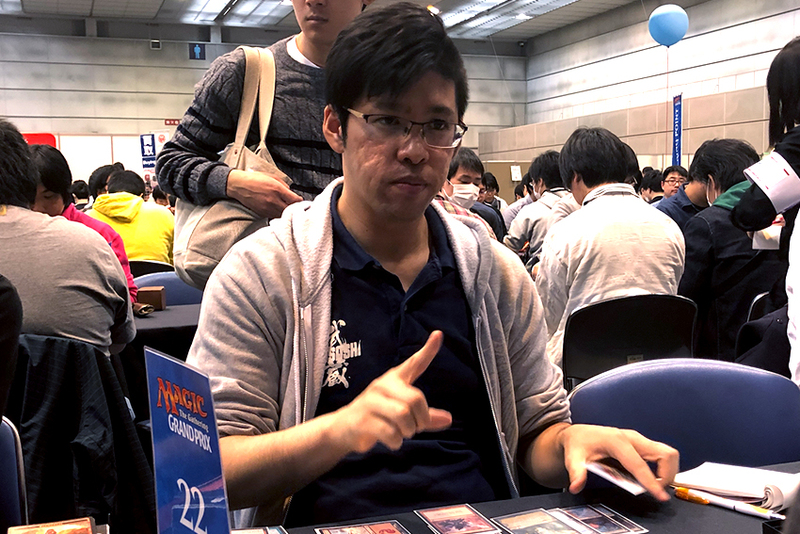 His finals opponent Takuya Natsume was playing Selesnya Tokens and had an overwhelming board position. However, the army was entirely wiped out with Finality. All Nakashima had to do was to seal the deal with an 8/8 flying, trampling monstrosity which Natsume had no answer to. 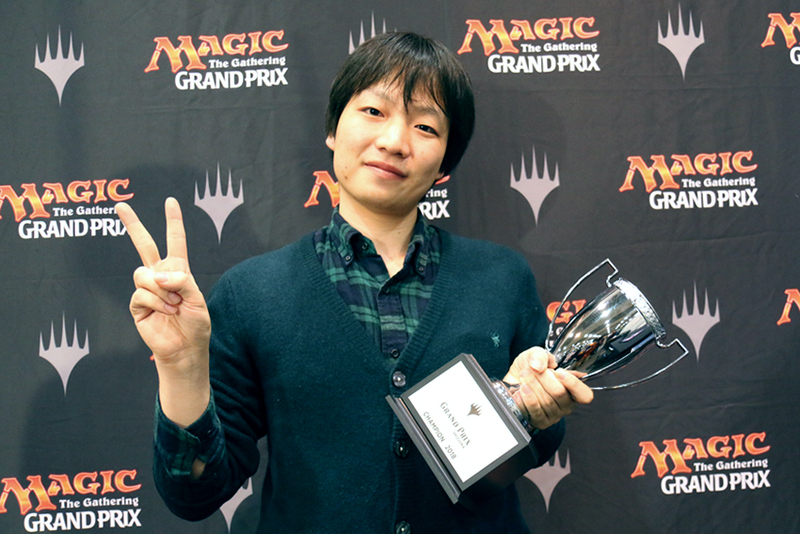 Once again, congratulations to Atsushi Nakashima once again for winning Grand Prix Shizuoka (Standard) 2018!